The U.S. government’s flagship health insurance exchange website, Healthcare.gov, was temporarily shut down Monday, the deadline for people to sign up for health coverage under the new law. Monday’s outage was intentional so that technicians could fix a software bug, a Department of Health and Human Services spokeswoman said via email. Teams extended the site’s regular overnight maintenance window and “brought the system online gradually to best meet consumer demand,” she added. 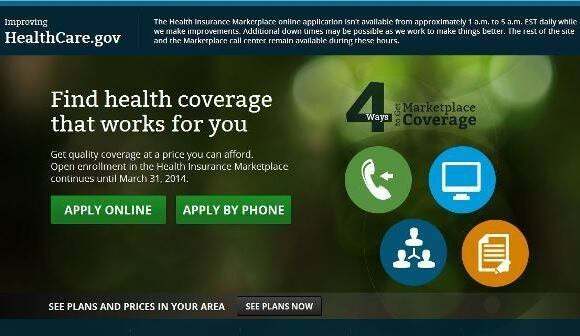 The site, which is now up and running again, has been able to handle “unprecedented” demand from people signing up for coverage, according to DHHS officials. Some 2 million people visited the site last weekend. Last week, officials said that people who begin but do not complete the process of signing up by the end of Monday will have more time to do so, as will people who have technical difficulties that keep them from completing the sign-up process. The administration has not provided a deadline for those situations. Healthcare.gov famously stumbled when it launched Oct. 1, experiencing serious performance and stability issues. The rocky launch took a political toll on President Barack Obama, who has made health-care reform a centerpiece of his second term. While the site was subsequently stabilized, a number of related state-level sites have also had problems. The White House website reportedly suffered a glitch Monday that was unrelated to the Healthcare.gov outage, but drew a connection to the looming deadline. For a time, a countdown clock on the site showed that people still had 15 days to sign up, rather than only 15 hours, the Wall Street Journal reported. The clock has since been fixed. Despite the problems with Healthcare.gov and state exchanges, more than 6 million people have signed up so far for health plans under the law, meeting a planned goal, according to the Obama administration.